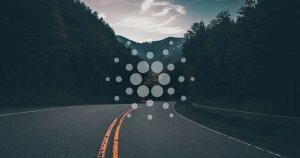 Related Article: ADA Surges 8% Overnight, Are Crypto Investors Confident in Cardano’s Roadmap? Rewards are also lower in the event that a staking pool is not properly managed. Although the process aims to be democratic, the returns are not. The good thing though is that users can always re-delegate their stakes to another pool at any time—thus aligning the incentivizes for delegators, staking pools, and ultimately the network. The post Cardano provides new details on how users will earn Ada through staking pools appeared first on CryptoSlate.